Singapore is one of those cities that’s had many names over the years. Many of them sound quite cool at first, like the literary Javanese and Malay name for Singapore, “Temasek.” Disappointingly, however this turns out to be derived the Malay word for “Sea Town,” a fairly accurate but uninspiring name for a city. The opposite is true for how the Mongol Yuan Dynasty referred to Singapore in its records. When you hear the Chinese word “Longyamen,” I imagine that most people with no exposure to Mandarin would picture a bowl of soup, or some time meat bun. Longyamen actually means something like “Dragon Tooth Gate,” a much more creative name than “Sea Town,” and a name that I could imagine in a high fantasy novel. The name Singapore itself is derived from a word in Sanskrit that means “Lion City,” which is one of city’s many contemporary nicknames. It’s interesting, though, because unless my 7th grade biology professor lied to me, I’m certain there are no lions Asia (except maybe India? ), not to mention Singapore. But it’s a fitting name, anyway. The moniker I didn’t expect, though, was “The Green City.” When I think of a highly dense, urban area, green is probably one of the last adjectives that come to mind. I think of some of the most densely populated and urbanized places I’ve lived in my life – New York, Beijing, Manila – and I can think of pockets of gorgeous greenery, like New York’s Central or Prospect Parks, Beijing’s Temple of Heaven or Summer Palace, and Manila’s… nevermind. But outside of these special places, I don’t think of green, and a few tourist attractions hardly justify calling a city “green.” Before I did my research, I thought Singapore would be like these places. Not quite dirty like Manila, or overcrowded and full of strange smells like Beijing. More like New York, where it’s crowded enough but not terribly uncomfortable, where some some streets can get dirty and smelly at times, and some streets are dirty and smelly all the time. I pictured that like New York, Singapore would have a few tree-lined streets and the occasional small park, but for the most part would be more ‘concrete jungle’ than actual jungle. 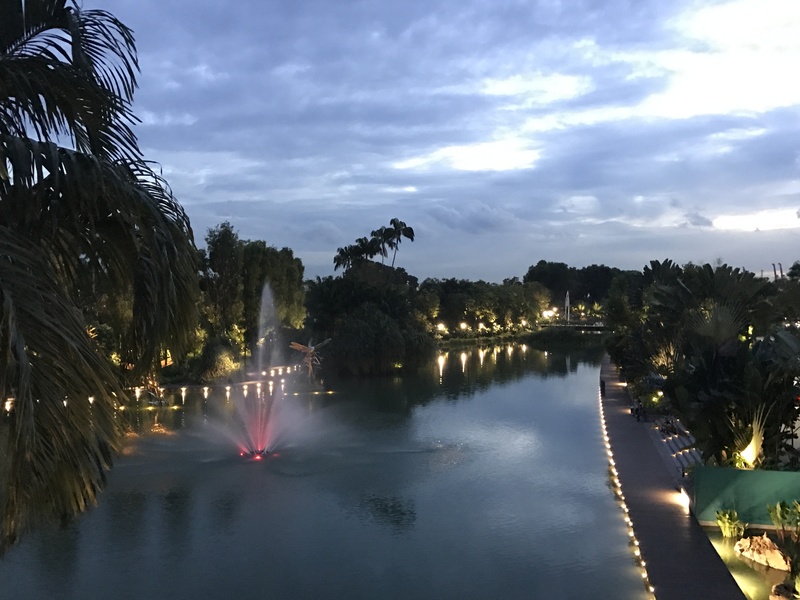 Especially when you think of the meteoric rise of its economy over the last century its land and natural resource constraints, the thought of Singapore putting such an emphasis on nature is unfathomable. You would think that to get where it is now, Singapore would need to make certain environmental sacrifices. But somehow, the opposite has happened. Singapore has actually become greener as its population and economy grew. In 1980, Singapore’s green cover stood at 36%, but is at an impressive 47% today. 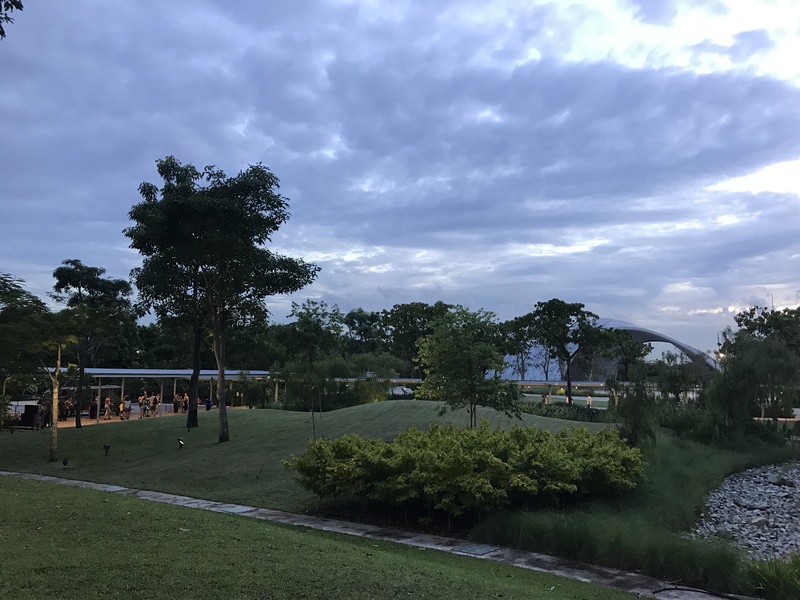 That’s a figure that seems unbelievable at first – but once you walk through the streets of Singapore, it becomes clear that the nation has really placed nature near the top of its list of priorities. Even the busiest streets in the financial and commercial centers are full of vegetation, and most roofs are covered by either gardens or solar panels. One of the nation’s biggest initiatives is its rules regarding new developments – you have to replace any greenery you remove. 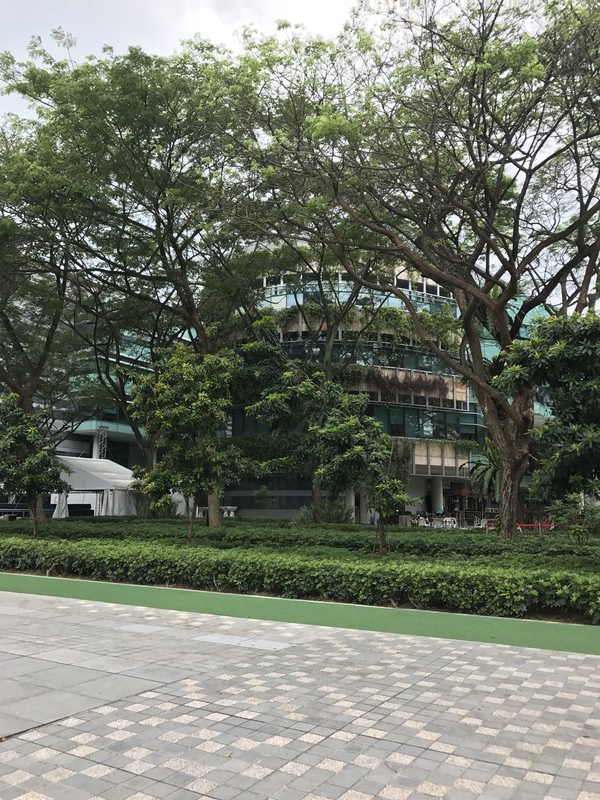 Additionally, many sectors in Singapore have “green rating” requirements, which requires that buildings meet a certain environmental friendliness standard. 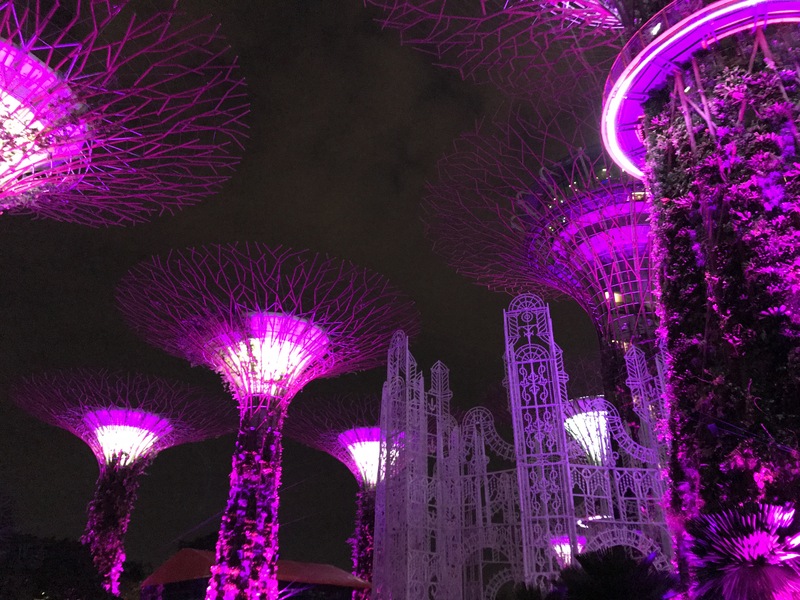 The Gardens by the Bay, a nature park in Singapore right next to the heart of the city, and right next to the Marina Bay Sands, arguably Singapore’s most famous building, is the perfect symbol for the city’s progress. The central exhibit is a series of massive trees covered in steel rain collectors and solar panels. It was one of the first sights I got to see in Singapore, and also the most inspiring. Before I came here, I was always under the impression that economic development and urbanization are necessarily at odds with environmental protection, at least when you seek to maximize them. But Singapore disproves this idea. Singapore is indeed the greenest city in the world, but somehow all of its environmental protection is productive, too. This entry was posted on Wednesday, March 22nd, 2017 at 4:07 pm and is filed under Janus in Singapore, Spring 2017. You can follow any responses to this entry through the RSS 2.0 feed. You can leave a response, or trackback from your own site.